Low-energy lighting upgrades carried out by Your Energy Sussex have reduced energy costs and carbon emissions at West Sussex libraries while improving lighting for library customers. 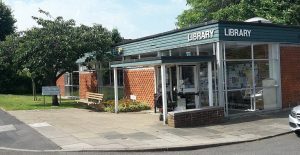 New light fittings and LED bulbs fitted at Horsham, Hassocks, Rustington, Storrington and East Preston libraries have reduced annual energy consumption by 48,000 KWh and cut carbon emissions by 21 tonnes. This will also save a further £6,000 off the council’s corporate energy bill and lead to reduced maintenance costs. The libraries lighting work is part of a rolling programme to improve the energy efficiency of West Sussex County Council buildings to meet the authority’s 50% carbon reduction target by 2025.